Christ Church, as a member of the Diocese of Albany, is linked with the Diocese of Down and Dromore of No. Ireland as well as the Diocese of Maridi in So. Sudan. “A threefold cord is not quickly broken” Eccl. 4:12 is our guiding Scripture. Together we support each other in our walk with the Lord. 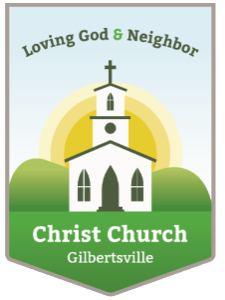 Members from Christ Church have been involved in this link since 2001, traveling there and supporting them through very difficult circumstances. 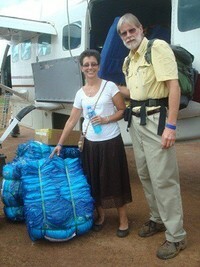 The most recent trip to Maridi took place in October and November of 2012. Due to the present unrest in the area of Maridi we have not returned since, but continue to plan for the future. Support for our brothers and sisters in Christ continues as well as our prayers for their safety and for God’s provision. The Rt. Rev. Bishop Justin Badi of Maridi Diocese has provided updates on their needs as they support an ever-growing flow of refugees from the north, due to persecution. Together with the Diocese of Down and Dromore we have been able to support the building of new clergy homes around Maridi Diocese which encourages those who had fled their homes in years past to return to their previous villages. Theological training of new clergy is also a priority of which our Diocese has been a part in Maridi. Our combined support for Maridi Diocese has recently boosted the women’s sewing ministry and enabled the women to continue to be active members of their society throughout their cycles of life. Education, especially for girls, has also been an area of prime concentration as well as helping in the building of new classrooms in Maridi. Medical care is another area that we continue to support. We help fund the training of Primary Care Health Officers for the outlying clinics as well as participate in community health projects when we visit Maridi. Community education on Malaria prevention and clean water is a never ending project. Through the active support of Church Mission Society of Ireland, our three Diocese have found this link to be very edifying. Though our dioceses have differing needs, God has been certain to use the link as a way for our faith to be nourished and grow as we work together for the Kingdom of God.